Pop quiz, hot shot! Where’s the place to be in Tacoma if you can’t get enough automotive ambiance? Are you still thinking? Is it driving you crazy? Then we suggest buckling up and heading down to the LeMay Museum, which celebrates America’s love affair with the automobile. This gearhead’s dream is more than just a museum, as the LeMay Museum is home to incredible automotive artifacts. There are 250 cars spanning over 100 years of automotive history, and nearly 100 additional cars on loan from private collections. If you’re still not convinced this is a museum you should have attended more times than Fast & Furious has sequels? They have the car from The Flintstones. And you don’t want to see the car from The Flintstones without a little dab a doo. Luckily, Greenside can help you with that. Before you go visit some of the first cars to hit the roads, roll though one of the first cannabis retail locations in Washington State, Greenside in Des Moines. 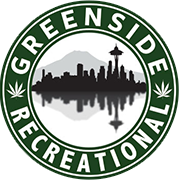 As one of the friendliest and well-known legal weed shops near Seattle, Greenside is proud to provide you with all of your recreational marijuana needs, from concentrates, to edibles, to cartridges, and more! Our personal recommendation is to pick up a pre-roll before drifting over to the LeMay. One of our favorite things about America’s Car Museum are their CXC racing simulators, where you can put the pedal to the virtual metal, or the fully functional slot-car track where you can get fast and furious. And, for the rest of February, if you have buds in town staying at a downtown Seattle Hotel, you can get half off admission to LeMay thanks to Seattle Museum Month. For hours, ticket prices and more information, check out LeMay Museum.